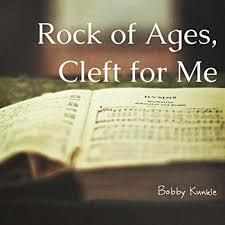 Sunday April 7, 10:30 AM "Sermon from a Song: Rock of Ages: The Double cure of the Cross"
The Hymn “Rock of Ages: Cleft for Me” is filled with tremendous purpose and meaning that helps explain Jesus work on the cross in our behalf. The verse which says, “Be of sin the double cure: Cleanse from sin and make me pure” explains this truth. The double effect of the cross is seen in that what Jesus did on the cross was the payment for sin all of us owe. Yet, the 2nd effect of Christ’s work is to make us pure. It cleanses us of all sin if we put our faith and trust in Christ. God sees us covered with His son’s righteousness which is perfect and He sees Jesus as bearing our sin totally. This tremendous message will be explained by Pastor Dan in this message drawn from Scripture using this song as a basis for these wonderful truths.